There are several major wars or periods of warfare documented in the Book of Mormon. 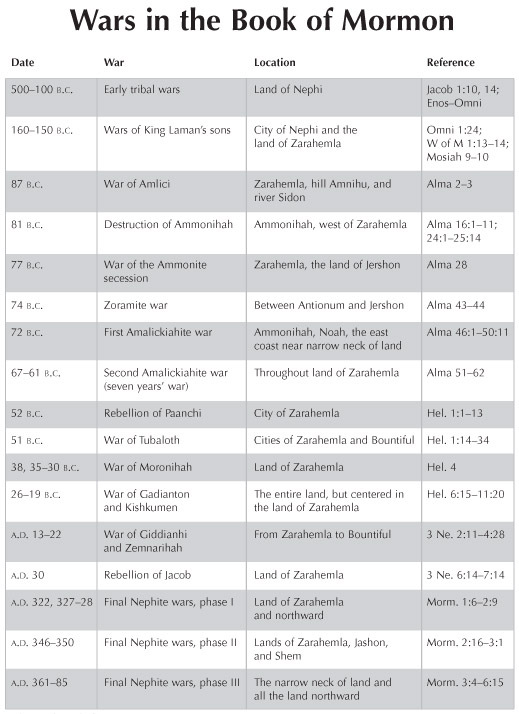 The approximate dates and locations of these wars, along with accompanying scriptural references, are listed in this chart. Having names and dates for these wars can help readers keep all of this confusing action straight. Although the Book of Mormon is a complex record, it is still very clear and purposeful.